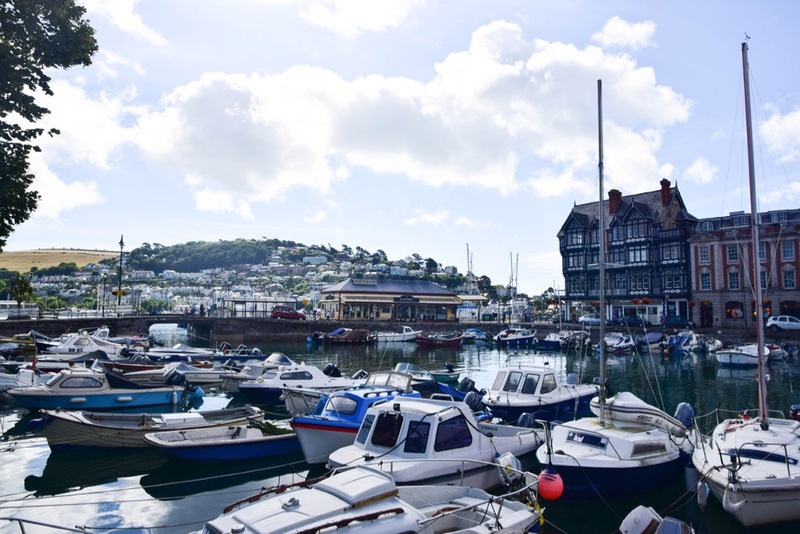 One of the things I'd been most looking forward to showing Lia along our Southern English route was Dartmouth, a town I'd spent a significant chunk of my childhood in. My grandparents had owned two cottages in the tiny River Dart-side town in Devon, and I'd visited most years and watched as a single house on the corner of a bowling green had been renovated into a homey cottage, then doubled into a second property behind, and slowly turned into two perfect base camps from which to enjoy Dartmouth, which we did through crabbing on the docks, cold beach trips, and stuffing our faces with fudge and other dairy products as we wandered around the delightful downtown. Of course, in reality I was a young boy and entirely ungrateful for the opportunity to drive four hours from home to sit in a dull town where it invariably rained (gotta love the British seaside). Nonetheless, I hadn't visited in the best part of a decade, so this was a homecoming of sorts for me, and one of the few things I was to show Lia along the trip that actually had any sort of sentimental attachment to them for me. 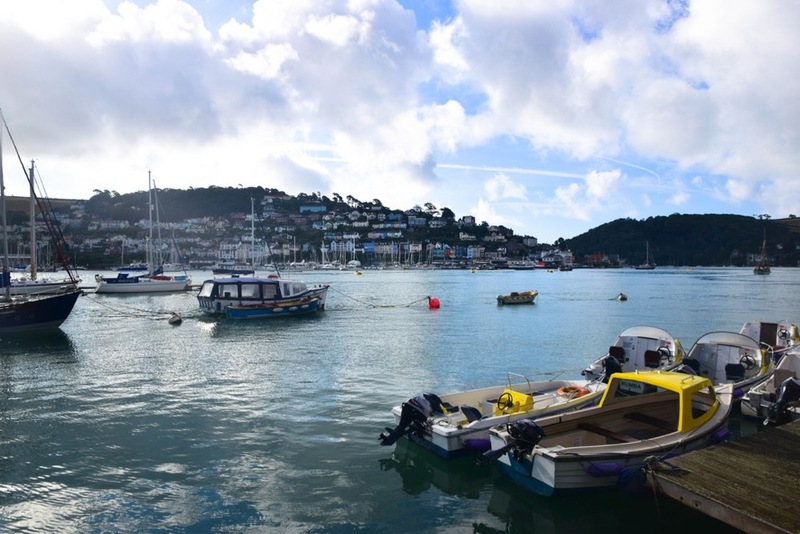 First off, Dartmouth is really pretty. This I obviously never appreciated when I was younger, because what 11 year old boy is thinking of such things? But once you battle your way through enough hedge-lined roads to access the town, you may be as lucky as we were to nab free parking right on the waterfront before you wander to the best brunch place in town — again, a place I'd never visited when I was younger — punnily named Alf Resco's. Along the way, I was encouraged to see a new generation of crabbers out there, bright and early. I learned at the restaurant that the host was the owner's son, and went to college in North Carolina, of all places. I couldn't not mention this mind-blowing coincidence, but my favourite part was that he said he preferred being in North Carolina to Dartmouth because it was slower over there. North Carolina is slower than a tiny coastal English town. You heard it here first folks, and you may begin to understand why I so hated NC. After breakfast we made our way to the houses I mentioned, just a 10 minute walk from the heart of the town. While I was waiting for a panel van illegally parked in front of the cottages — a typical sight — to vacate my shot, I took Lia slightly up the hill overlooking the playground across the street which Louis and I used to go to and the bowling green. It was a bit early for any bowls enthusiasts to be out, what with it being around 9am, but I did notice all the equipment in the playground had been redone. Lia noticed all the stacked, multicolored houses. Another wonderful sight which, having grown up with it, I was blind to. Thankfully, it's never too late to begin to acknowledge these things, like how freaking cute the house, aka "Number 1" is. My granddad poured years of his life and time into making these places pleasantly habitable, but he sure picked some pretty buildings to work on and in. On our ever-demanding schedule, we headed back toward the car, but along the way Lia paused to marvel at the marina, which was utterly inaccessible or inescapable for the boats at high tide. Dartmouth was clearly planned before the advent of the retractable bridge, but the town's impractical-yet-central water feature was always a fixture of my memories in it. Lia had wanted to see a castle, and learning that Dartmouth in fact had one, I took her to it and found out that it had free parking! Of course, you've got to earn it with more impossible narrow roads, but once you're there it's stunning. 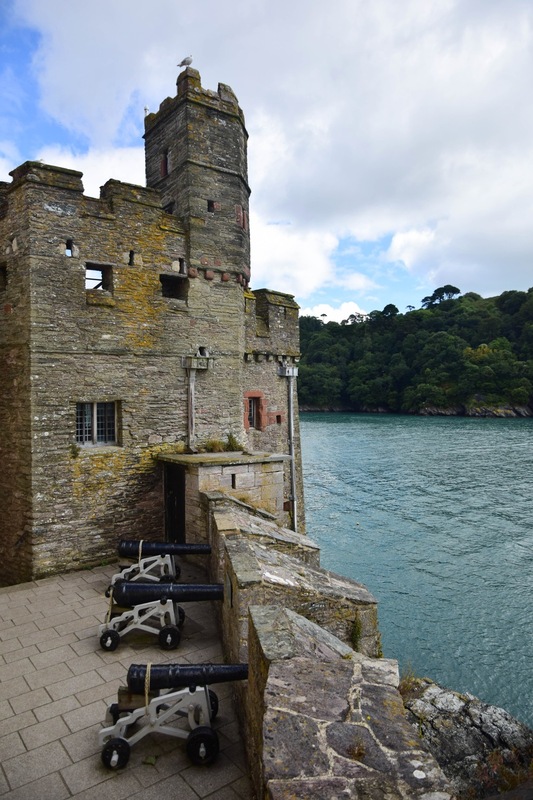 I've since been told that I have visited Dartmouth Castle, but I didn't remember it, so does that really count? This time the views were unforgettable. Despite cloudy skies and a distinctly fairytale river mouth the castle sat at, guarding since the 1380's, the water was an azure color that seemed like it belonged on a more tropical or mediterranean coast. Because Lia's a rebel, we snuck into a part which supposedly required tickets, but the door was unlocked, so... is that really breaking any rules? Inside there were cannons, which were almost as badass as us. 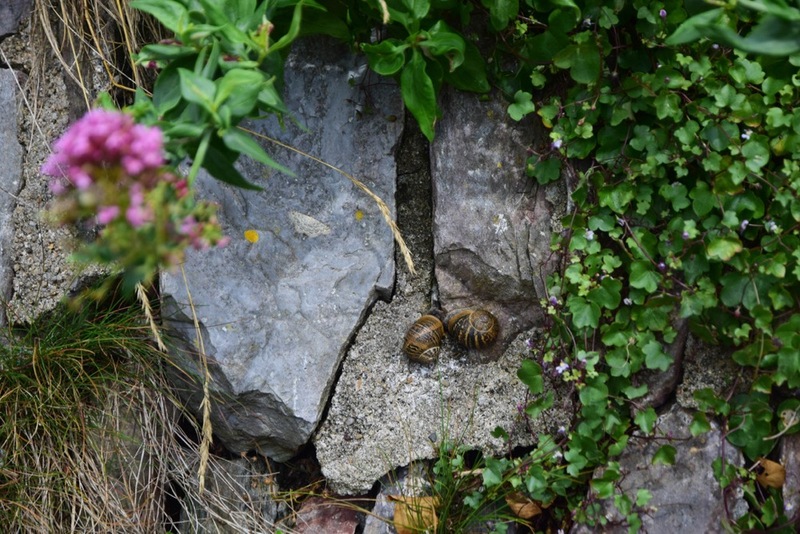 As we were getting ready to leave, I spotted two snails on the wall, making out. Just two slugs with tough exteriors in love, moving at their own pace in an impossible large world. Sounded just like us. I spotted two more further down the wall engaged in a more intense bout of physical courtship, but decided to give them some privacy.